Out of body experiences take on a new meaning with this animated short by Patrick Bouchard. He either took some inspiration from David Cronenberg and Clive Barker, or he is going to be a talent to look out for! This work is not horror per se, but the lighting techniques and camera framing he uses shows he knows the genre intimately. Pixilation and stop motion is used to create this tale; perhaps Studio Leika should recruit him if he ever decides to go mainstream! 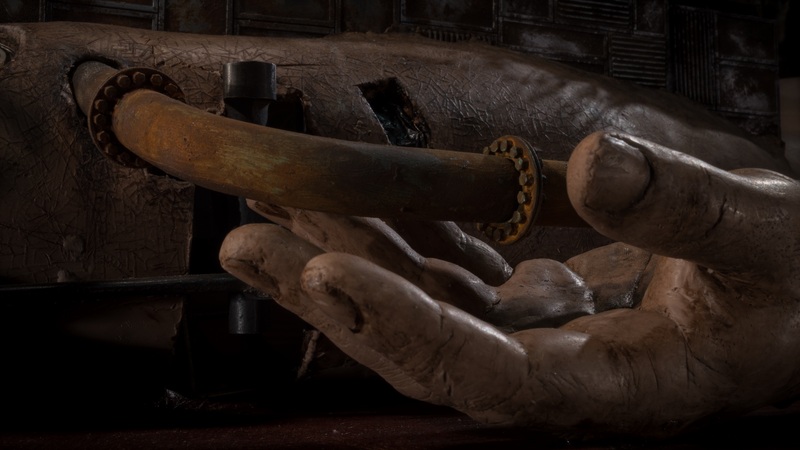 Here, this filmmaker dares to place himself on center stage, confronting his alter ego in the form of a life-size cast of his own body—beginning a physical confrontation between human and clay puppet. Of the latter, the details are amazing and photo-realistic. Assuming Bouchard is referring to many a creation myth, he hits a home run. Are we man or machine? That is, are we a product created from a higher being, as the microscope sees it, or industry? The effort he put behind creating this short is extreme; I doubt not many prosthetics effects creators go as far as he did. Well, Tom Savini may. This short is not only creepy but also hypnotic. This filmmaker may well be not simply examining himself as a creator, but rather is exploring humanity as a whole. Film scholars can find out for themselves when it plays. Hopefully, the online version will not take long to materialize. 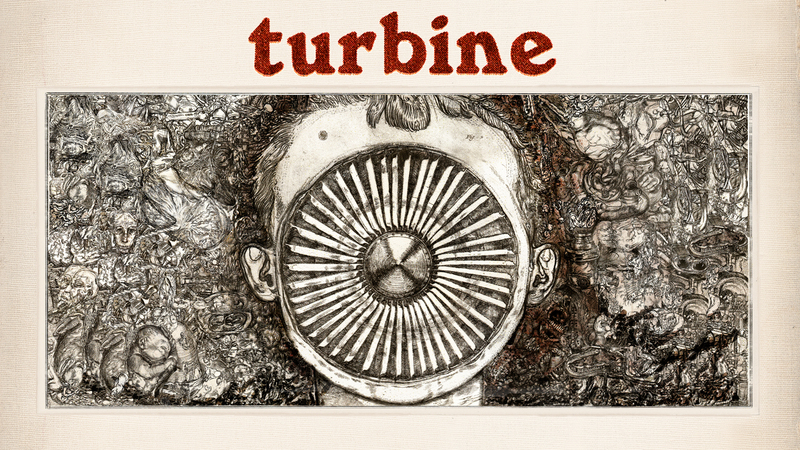 Montreal-based animator Alex Boya delves into similar themes in his hand-drawn work, Turbine. Here, a WW1 pilot crash lands into his apartment, and unknown to anybody and until his wife comes home, his face has been replaced with his plane turbine engine. The aircraft has his face! The juxtaposition may seem odd at first, but as the story unfolds, the realization the husband is suffering from post-traumatic stress disorder becomes obvious. There are two ways to read this work, and I think this animated drama explores what those directly involved during the Great War faced. Some became so severely detached from every day, it’s impossible to refocus. Loved ones had to find a method to connect with their significant others. The symbolism of the turbine engine, ceiling fan and the third object (spoiler alert) can get missed by a few. At least the humour offers a few noteworthy giggles. This work is mesmerizing in its look at social conditions. As the title of this short implies, Caterpillarplasty examines the transformative nature of the worm to butterfly. But instead of insect, humanity is involved. This work is described to be a prescient, grotesque sci-fi satire that lifts plastic surgery to another level. Set in a state-of-the-art clinic, in a world where advanced technologies have given rise to new standards of beauty and prestige, this film offers its sardonic take on a social obsession with physical attractiveness that’s spiraled out of control. The adult imagery and wonky character designs suggest there is no Adonis among us. It’s humanity’s need to be self-absorbed than accepting of who we are as individuals. Ottawa-born filmmaker David Barlow-Krelina crafted a very luminous work with the 3D modeling and set design. The narration goes beyond simple contemplation and for the visuals alone, this creator should contribute to Heavy Metal Magazine! The style is perfect.